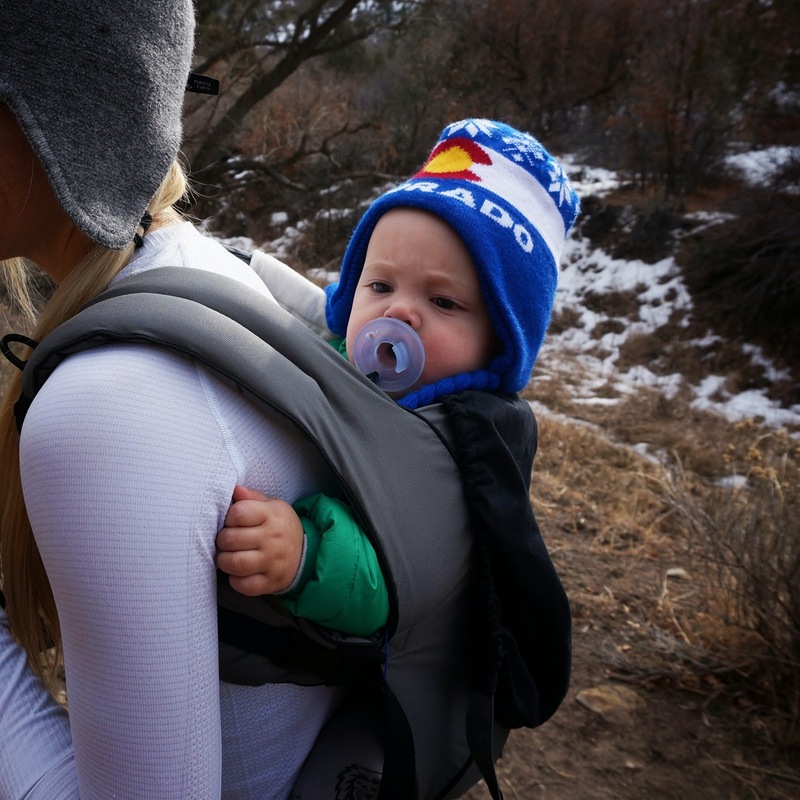 We are in Durango for this week and yesterday we went on a hike on one of our favorite Durango trails. Horse Gulch trail system is a whopping 0.6 miles from our front door, which means it is our go-to for trail runs and hikes. You can't beat heading out your front door, arriving at the trail in about 5 minutes (when running), and having miles upon miles of trail to run, mountain bike, or hike. And, we re talking good trails, fun trails. I couldn't even estimate the countless number of miles I have run, hiked, and mountain biked up there. It was a beautiful day ... crisp and cold, a little cloudy, but still nice and sunny. 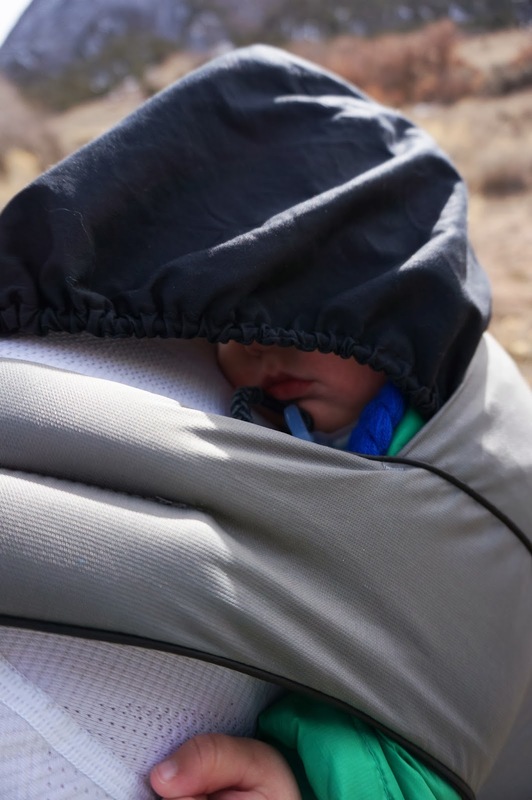 Little John definitely enjoyed his first hike up in the Gulch on my back in the Ergo baby; that is to say that he promptly fell asleep, had a nice nap, and when he eventually woke up he took in the sights and talked our ears off, presumably about all that he was seeing. Mocha loved being up in the Gulch as it is accurate to say that these are her favorite trails too. She cruises around them with ease, never getting too far ahead of us, but taking off just enough to have her own adventures (and to get really dirty). Activities like this hike are something I really want to do more of. I loved this hike. It was beautiful scenery, the best company, and a a sweetly nostalgic trek on a trail I know like the back of my hand.